Words are the most powerful thing in the universe today. they defeat you or they bring you victory.they can make the difference in your life or well being. The book of proverbs states that life and death are in the power of the tongue. What you talk about, you bring to pass. God created the heavens and the Earth by speaking them into existence and He has given you the ability to do the same. He has given you promises in His Word that you can claim and activate in your life. You activate these promises in your life by speaking them consistently in faith. Gods promises are real. 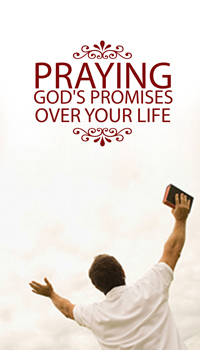 Praying and declaring these promises will not fail you because God will not refuse His own Words. The devil cannot stop these promises from coming to pass because they are God’s Word and they carry a superior power in them. When you pray and declare these promises you pray perfectly. Therefore you will get results! In the daily activities of life, we must not forget how big God is and how relevant He is in our lives. We must always remember how much He loves and cares for us. We must remember to ask Him for strength and to replenish our supply. From years of daily walk and fellowship with God Solomon and Patricia have put together some of things they have learnt during their time of daily devotion. 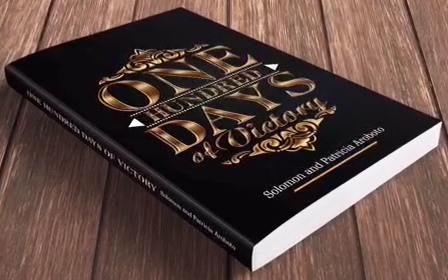 This book is designed to help you know the wisdom, the grace and the power of God. You’ll learn how to rest in God and enjoy the father’s love. The topics cover a broad spectrum, ranging from developing a loving(father- child) relationship with God, having positive relationship with others, making most of opportunities, and examining our own hearts to living a life of success and happiness. 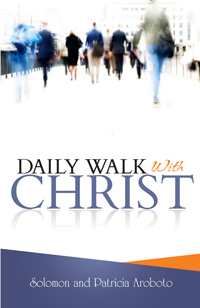 This is your book, so use it in the way that helps you most in your personal walk with God. We pray that it helps you better understand and apply God’s word.